A series of sweeps in the Que Son Valley by the Marines were costly. However, after four seperate operations the Marines for the time being had gained control of the valley. The Que Son Valley was seen as key to controlling parts of Vietnam’s northern provinces. It is located at the boundary between Quang Nam and Quang Tin provinces. A Marine company was assigned a base at Nui Loc Son. As the North Vietnamese increased their activities in the valley the Marines attempted to take actions against them. Thus in April the Marines began their first sweep of the valley dubbed Union I. The action was partially successful but the North Vietnamese were not driven from the valley. In May a second operation called Union II took place the forced the North Vietnamese to cede control of the Southern part of the valley to the marines. 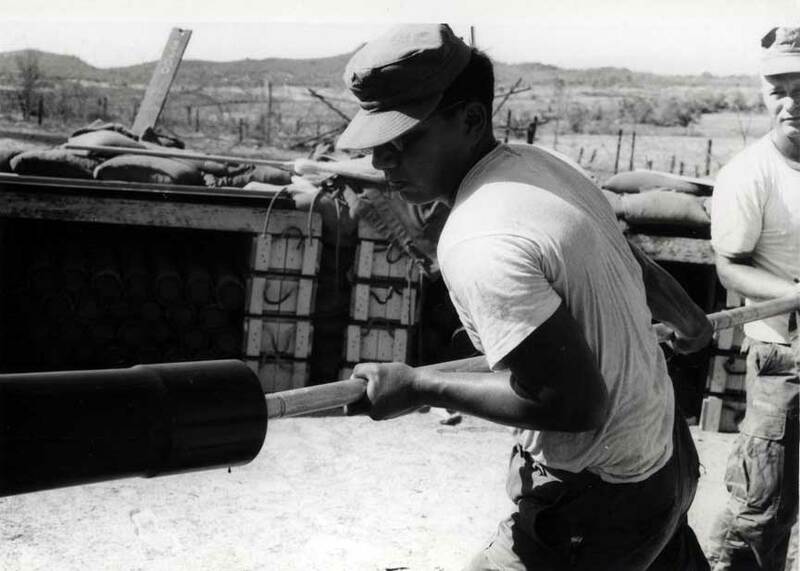 In August another operation was launched called Operation Cochise, but the North Vietnamese avoided engagement as much as possible and the operation was completed without any major accomplishment. On September 4th, a Marine patrol was ambushed by a larger NVA force. Reinforcements were sent piecemeal and they to were themselves surrounded. Only due to superior firepower and marine air support were the marines able to hold off the attackers. The marines sustained many casualties but during the night of 4-5 the marines made progress against their attackers. The next morning a relief force arrived and forced the NVA to retreat. The Marines then began Operation Swift which were a series of skirmishes with the NVA in which the Marines were attacked a number of times but ultimately defeated the NVA and secured most of the Valley.